← Food Plots Gone BAD. 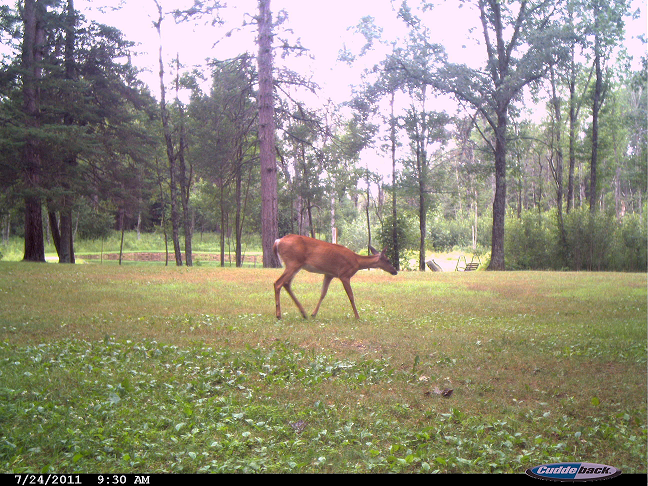 We just put the Cuddeback up on Thursday, so we don’t have many pictures to choose from. But we do have a few that we want to share with you. The camera is placed in the front yard of the cabin. Normally, we wouldn’t place the camera here but we’ve had bears walk this path a few times and we wanted to know if they are still utilizing the trail. 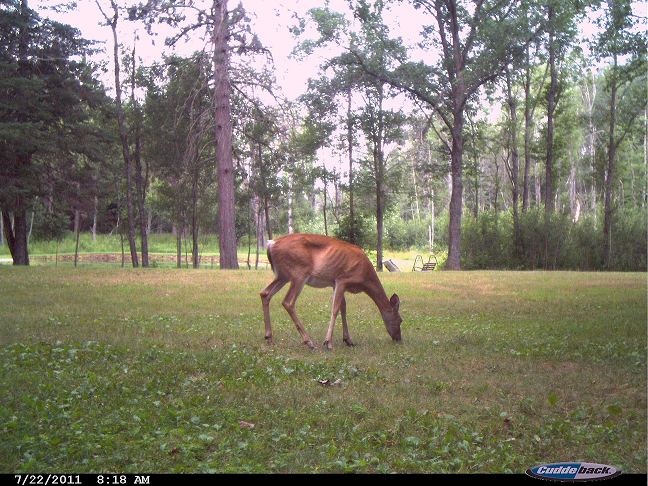 We also have a large clover patch in this location and the deer just love it. Enough with the small talk. Let’s get to the photos! 1. Meet Goldie. She’s been around for as long as I can remember. Goldie is one old, smart doe. Once September rolls around, she becomes nocturnal. This has actually been the first year we’ve seen her without any fawns. Unless they were hiding for all 50 pictures we have of the old girl. 2. All I can say is AWWWWW. Only one picture of this Momma and her fawns. Makes me wonder if they were just passing through. 3. )Just a leisurely stroll through the front yard for Doe #3. Makes us wonder if the Bucks are hiding in the hills or down in the swamp. Did you get anything exciting on your trail camera this week? Let us know, we want to see! 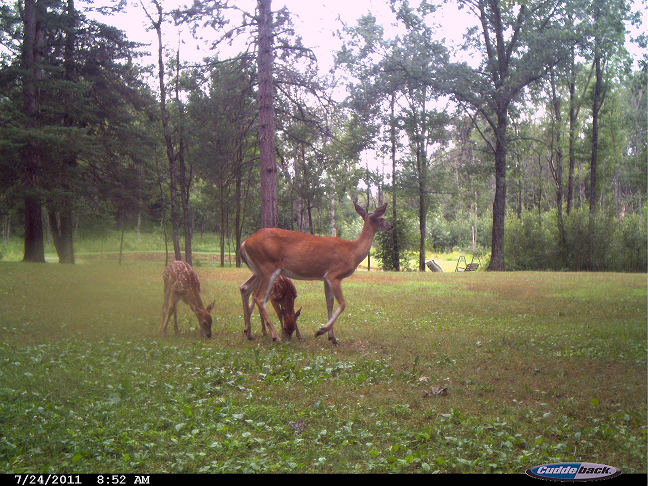 This entry was posted in Trail Camera and tagged cuddeback, deer, deer pictures, does, fawns, field camera, hunting, pictures of the week, trail camera. Bookmark the permalink.